The Mile-High City continued its tradition to spread initiatives, build relationships and share ideas at the seventh annual Denver Startup Week. The event was a weeklong celebration of the best of entrepreneurial Denver. From tech to social media – and even cannabis – a wide range of topics were covered for the Denver community. With an attendance of over 200, the downtown Denver integrated architecture and design firm, Gensler, filled with aspiring entrepreneurs, local designers and startup founders. 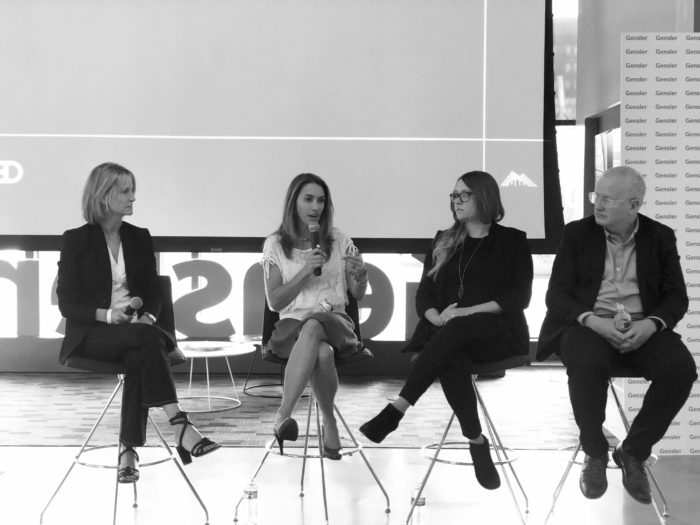 The panel, The Brand Experience brought in local industry thought leaders, including our very own Ellen Bruss. 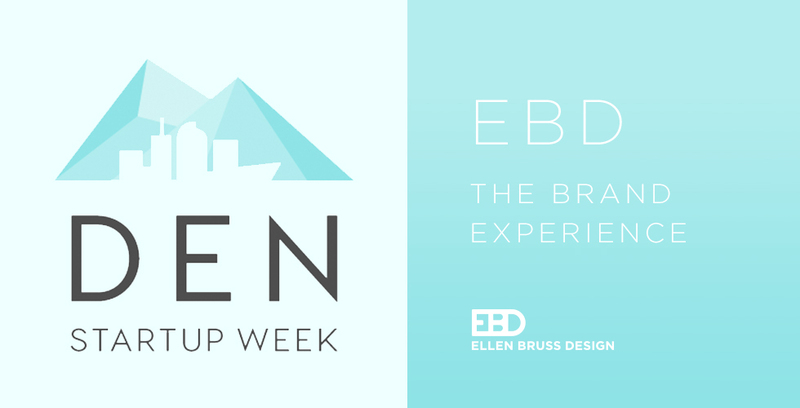 Ellen sat alongside other Brand Designers, each discussing a variety of differentiators within branding that they deem essential to creating and maintaining brand identity. 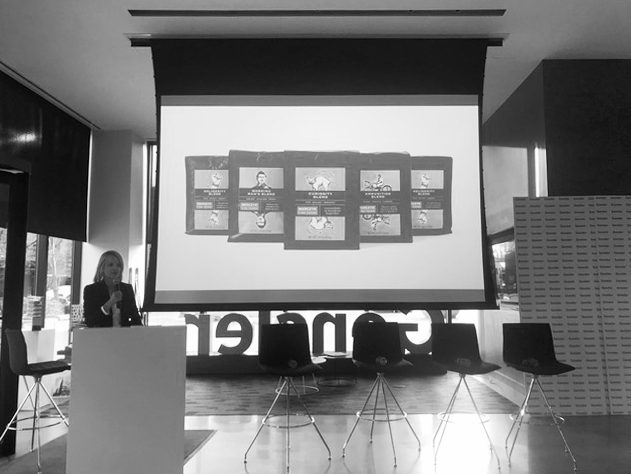 Although each Designer boasts a diverse portfolio, the underlying theme throughout the panel was advice on how to push a brand beyond just its logo. Building brand identity is no easy task, and it’s important to differentiate based on market and audience as Ellen mentioned in her presentation. This especially holds true in a thriving market like Denver, with its constant change, growth and influx of influencers. Ellen also believes consistency is key in brand executions. Consistency within all aspects of design (color, typography, etc.) creates structure, allowing the consumer to easily interact with the brand. Ellen also emphasized the importance of brand loyalty. “There is so much competition that we cannot win with good products alone.” It’s crucial to maintain and create brand loyalty.” Whether it’s creating a brand identity to honor history or the future, or creating a positioning document, EBD aligns the entire system and associated marketing accordingly to establish a long-term brand that can garner both results and brand loyalty.